Our floors are affordable compared to high end tiles and timber floors, yet you don’t need to compromise on your design. Can be applied by roller, spray equipment & brush. Aggregate can be added for a non-slip surface. Freezer and Cool Room repairs below 5°C down to -25°C. Recommended for cold stores, freezers, supermarkets & more. View our gallery of commercial flooring projects we have completed. Looking for a quality and affordable commercial flooring quote? 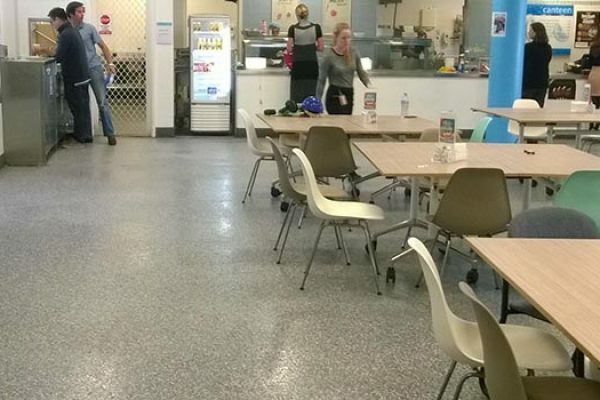 Safeguard Commercial Flooring Pty Ltd established 2003 specialising in resin flooring, doing large 5000m2 to smaller than 5m2, much of our work being repeat business. Safeguard are Commercial Flooring Specialists on the Central Coast. We offer our flooring services to all area of NSW including Sydney and Newcastle. Talk to us about a quote today for your flooring project. We have a proven record of accomplishment and are a reputable company in Australia. We ensure that all projects are done with utmost professionalism using quality materials while offering clients the support and accessibility.